Sedated dentistry is anxiety-free dentistry. Sedated dentistry is a highly effective way to get through your next dental appointment without the usual fear and stress if you suffer from dental phobia or simply dislike going to the dentist. 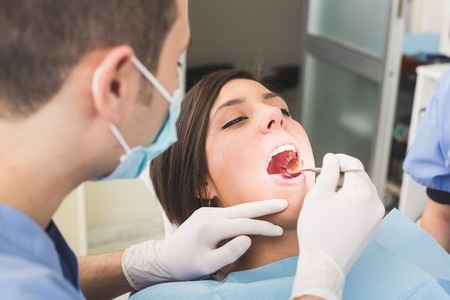 For many patients, sedation is the answer to the nagging dread that can make even the prospect of visiting the dentist a point of major anxiety. Here are seven facts about sedated dentistry that can help put your mind at ease if you’re considering taking advantage of an anxiety-free dentist visit. 1. It can be used for any procedure. Whether you’re going in for a routine cleaning or you have a mouthful of cavities that need to be filled, sedation will reduce your anxiety, help ease pain and discomfort, and ensure the time flies by. Although any procedure carries with it some risk, dental sedation is safe and effective. The techniques used to sedate patients have been in use for decades, and clinical tests have paved the way for a high level of safety. Dentists who offer sedation follow strict procedures that ensure patients receive the correct dosage, and during the procedure, the patient’s vital signs are continuously monitored. 3. The level of sedation depends on you. Sedation at the dentist’s office ranges from minimal sedation, which is simply a state of heightened relaxation, to general anesthesia, which renders you completely unconscious. Between these extremes are moderate sedation, which results in intense relaxation and may cause you to slur your words and forget most of what went on, and deep sedation, which places you at the edge of consciousness but able to be awakened at any time. The level you choose depends on the purpose of sedation and your own preferences. 4. It can be used for a variety of reasons. A very low pain threshold. A prior traumatic experiences in the chair. Needing to have a lot of work done. Having an aversion to the tastes, smells, or noises associated with dental work. 5. The cost is worth it. Sedated dentistry isn’t as expensive as you might imagine, especially for minimal or moderate sedation. But any extra cost associated with sedation is well worth the money if it means you’re getting important work done on your teeth that you wouldn’t otherwise consider out of fear or discomfort. Regular preventive dental visits can save enormous amounts of money in the long run, and that alone offsets the cost of sedation. 6. Sedation is administered in a variety of ways. Inhaled minimal sedation uses a combination of nitrous oxide and oxygen, which is administered through a gas mask. Your dentist controls the amount of gas that comes through the mask and can adjust the amount at your request. Nitrous oxide wears off quickly, so you’ll be able to drive home afterwards. Oral sedation is administered with a pill around an hour before your appointment. The medication used is typically Halcion, which is similar to Valium. Depending on the dosage, the oral sedative can produce minimal or moderate sedation. You may or may not fall asleep during the procedure, but you’ll be easily awakened, although you’ll need a ride home. IV sedation is administered intravenously so that the moderate sedative effects set in more quickly, and the dentist will be able to adjust the amount of medication as necessary. General anesthesia can either render you unconscious or nearly so, depending on how much is given. You won’t be able to wake up easily until the effects wear off or another medication is given that will reverse the effects. 7. Your dentist will provide you with all of the information you need to make an informed choice. Before you’re provided with a sedative, your dentist will review your medical history and any current medications you’re taking, and you’ll receive a written statement outlining the risks of the process, which your dentist will discuss with you. If you have any questions or concerns, they will be addressed before the sedative is administered. Avoiding dental care out of fear or discomfort can have a devastating effect on your oral health. Sedation reduces anxiety and makes a big difference in your comfort level during both routine cleanings and more invasive procedures. Talk to your dentist about whether sedation is right for you.